We work across the UK with renowed family venues, like the Trafford Centre, to provide bespoke family entertainment that is enjoyed by the whole family. Pop Up Productions provides unique family shows and workshops for venues across the UK. 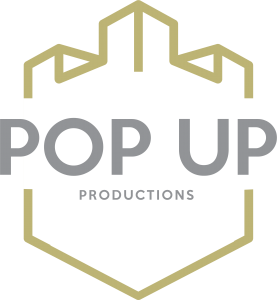 At Pop Up, we have a wealth of experience in creating family shows for our clients. Having created numerous shows on request, we are able to cast, script, rehearse and provide bespoke performances which are tailored specifically for your event. Choose from beloved characters, familiar fairytales or ask us to create something just for you. Nothing is too weird or wonderful for Pop Up Productions. We have worked with some of the leading family venues in the UK including Thornton Hall Farm, Cheshire Ice Cream Farm and intu Trafford Centre. Our showcases, Christmas events and sing-a-longs are loved by all ages. Have an idea? Get in touch for a bespoke service - we'll provide you with the most talented acts, performers and singers out there, as well as project manage the entertainment for your dream event. Our team will answer your query as soon as possible.